One local entrepreneur is going to have the chance of a lifetime with a free one-year lease of a downtown Peterborough storefront. 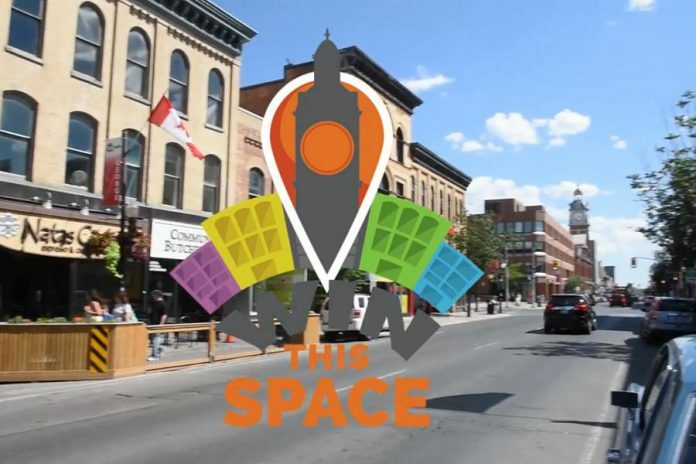 Four business organizations — Peterborough Downtown Business Improvement Area (DBIA), Peterborough Economic Development, Community Futures Peterborough, and StartUp Peterborough — officially launched the “Win This Space” competition on Monday (October 17) as a unique way to support local entrepreneurs and spur economic development in Peterborough. Interested entrepreneurs have until January 13, 2017, to put together a plan and submit it to the competition. The top 10 finalists will take several workshops before a winner is chosen on February 16th by a panel of entrepreneurs. The winner will then have their choice of a free one-year lease starting April 1st at one of the available participating downtown locations. For more information about the rules and regulations of Win This Space and how to apply, visit www.winthisspace.com. The Win This Space launch took place at Cherney Realty’s building at 261 George Street North, in honour of the late Erica Cherney. 261 George Street is one of the locations that can be won. As well as the free lease, the winning entrepreneur will receive products and services from a number of participating local businesses. The full prize package is valued at more than $35,000. The $35,000 prize package is being funded with the help of sponsors, some covering the cost of a month’s lease and others donating funds to support the program or to provide additional prizes for the winner. kawarthaNOW is pleased to participate as one of the Gold Sponsors for the competition.